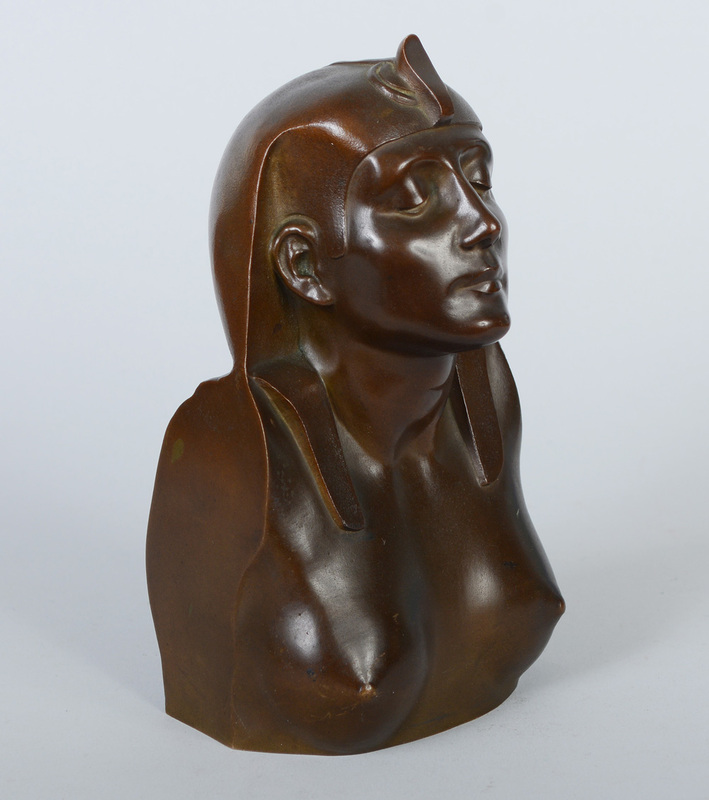 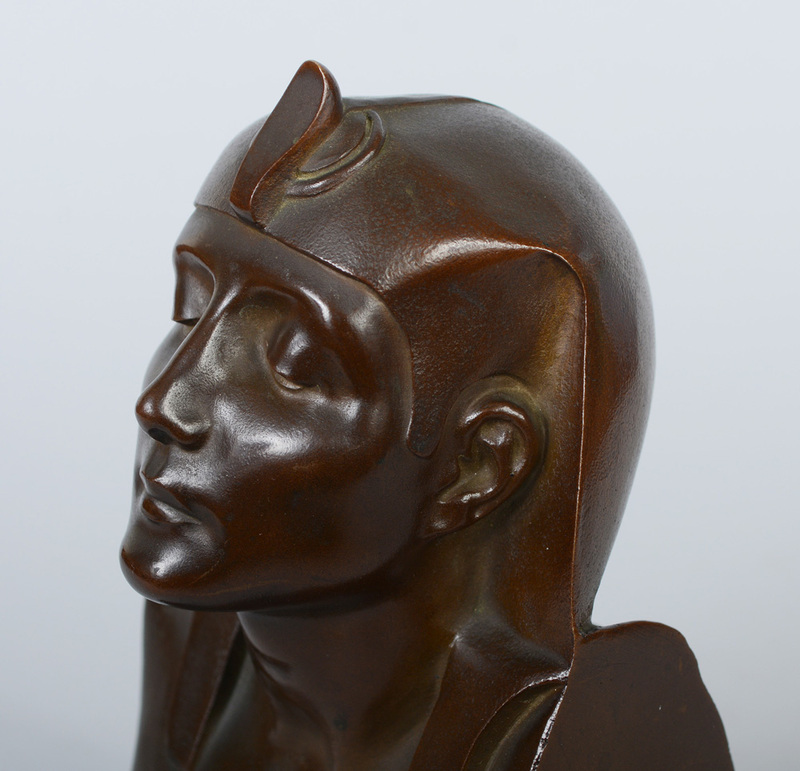 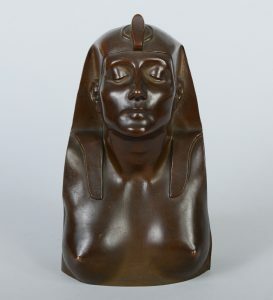 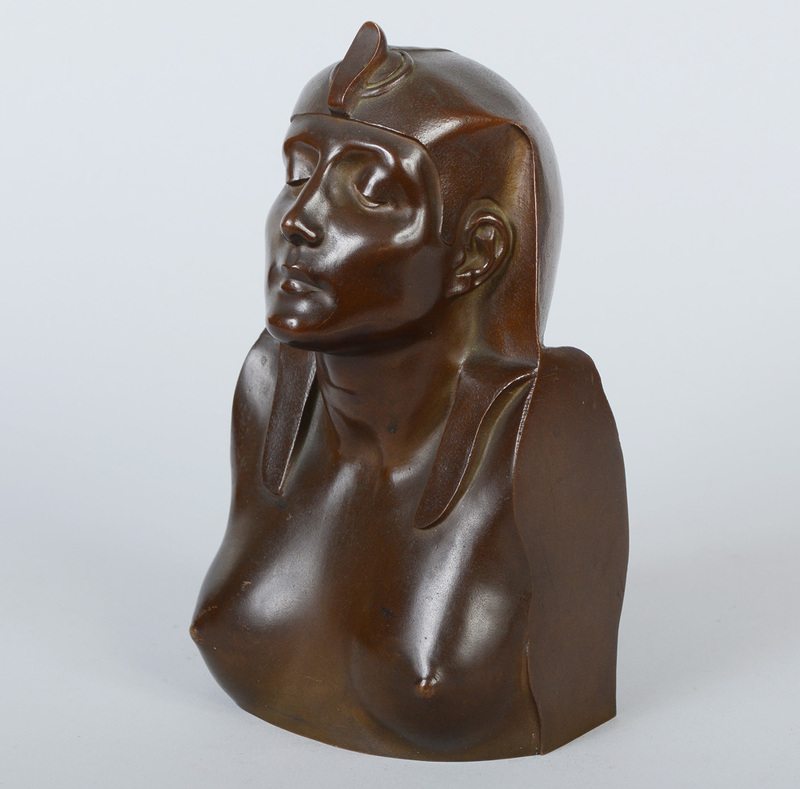 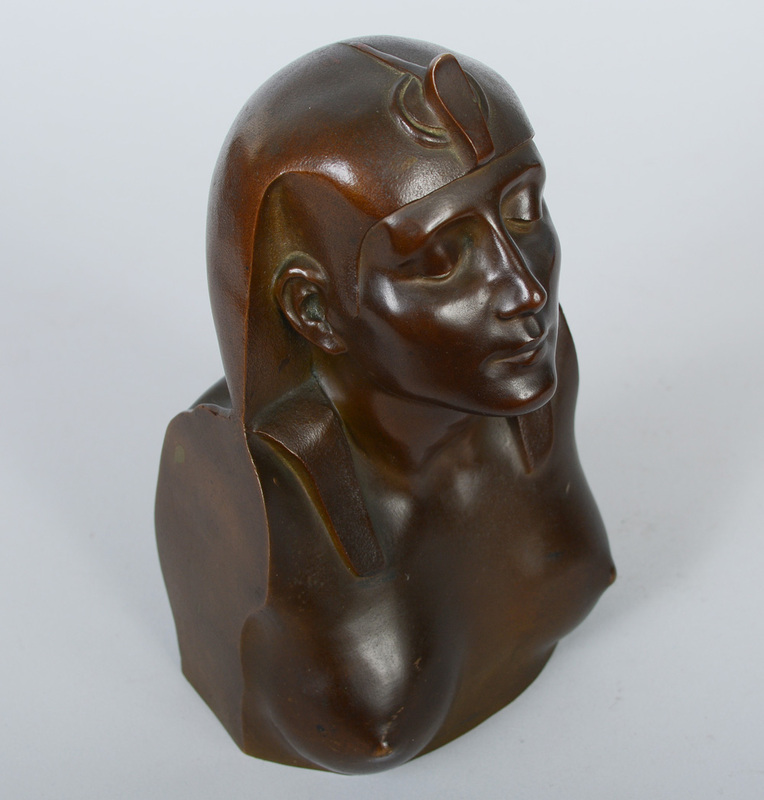 Late 19th century bronze bust of Cleopatra. 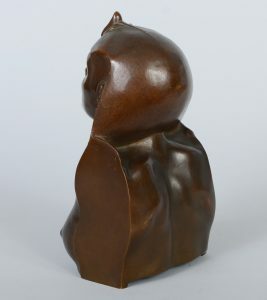 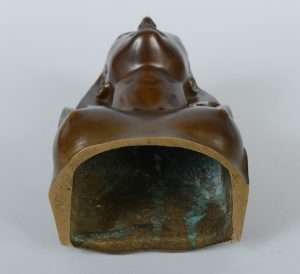 This French sculpture is unsigned and at one time probably had a wood base. 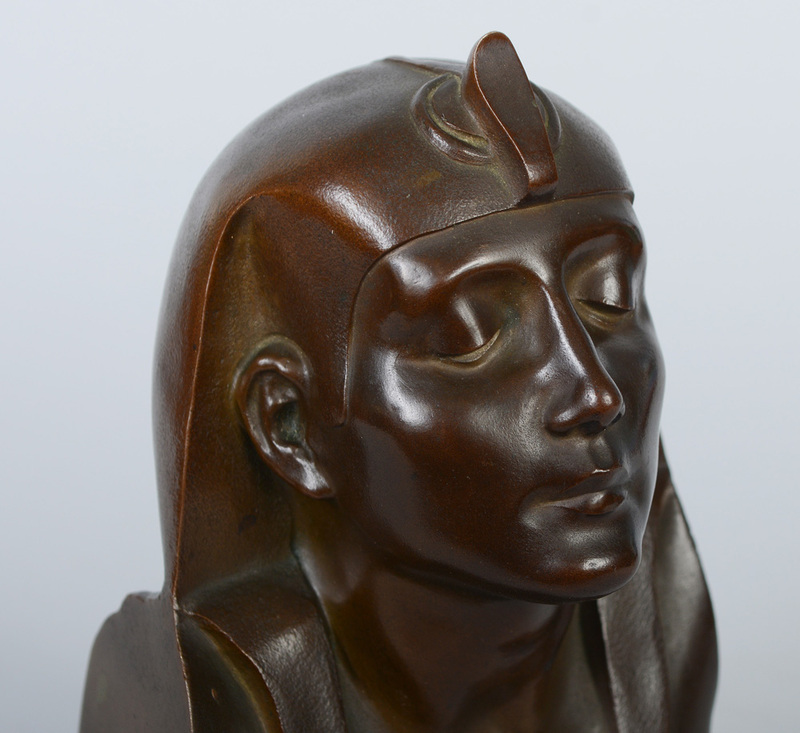 Cleopatra has a meditative and peaceful expression in this depiction of her. H 6.38 in. 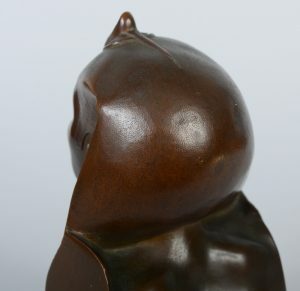 x W 3.63 in. x D 3 in.